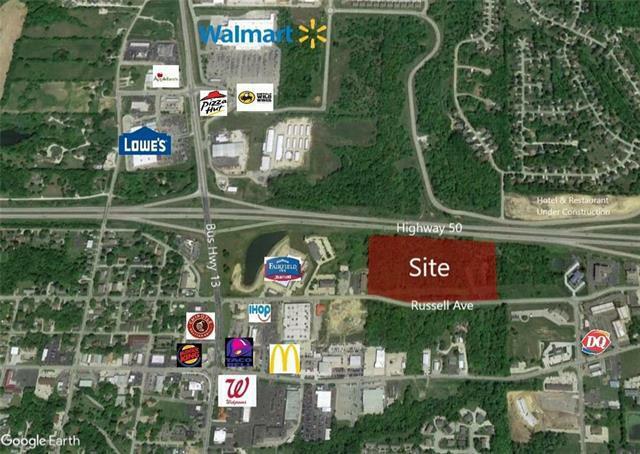 MULTIPLE COMMERCIAL DEVELOPMENT OPTIONS on this 17.49 acre tract! 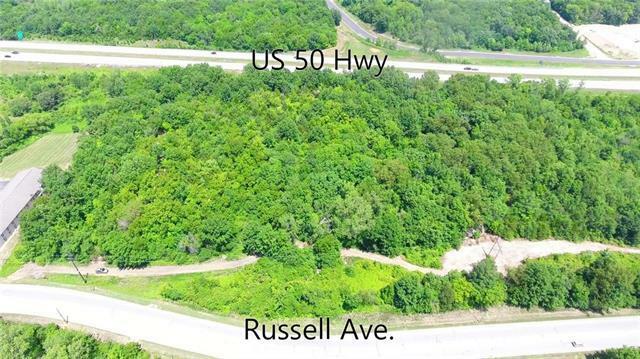 Great Highway 50 frontage and easy access from Business 13 and Russell Ave. 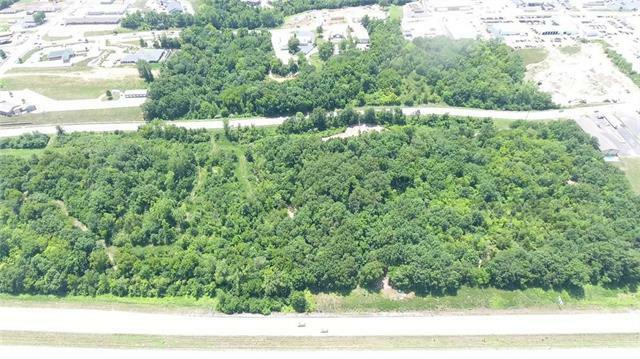 Estimates available to prepare a 6+ AC pad site with excellent highway frontage, and owner is willing to assist with site preparation expenses with the right contract. New hotel and restaurant under development directly across Highway 50 from the site. See survey attached as supplement, a portion of the property to the east lies in the flood plain. Listing courtesy of Old Drum Real Estate. The information displayed on this page is confidential, proprietary, and copyrighted information of Heartland Multiple Listing Service, Inc. ("Heartland MLS"). Copyright 2019, Heartland Multiple Listing Service, Inc. Heartland MLS and Better Homes & Gardens Real Estate do not make any warranty or representation concerning the timeliness or accuracy of the information displayed herein. In consideration for the receipt of the information on this page, the recipient agrees to use the information solely for the private non-commercial purpose of identifying a property in which the recipient has a good faith interest in acquiring. The data relating to real estate displayed on this website comes in part from the Heartland Multiple Listing Service database compilation. Data last updated: 2019-04-19T15:44:52.15. The properties displayed on this website may not be all of the properties in the Heartland MLS database compilation, or all of the properties listed with other brokers participating in the Heartland MLS IDX program. Detailed information about the properties displayed on this website includes the name of the listing company. Data last updated: 2019-04-19T15:44:52.15.